Urban Minimal Lifestyle. Engaging Modern Architecture. Green Living. What more do you need? 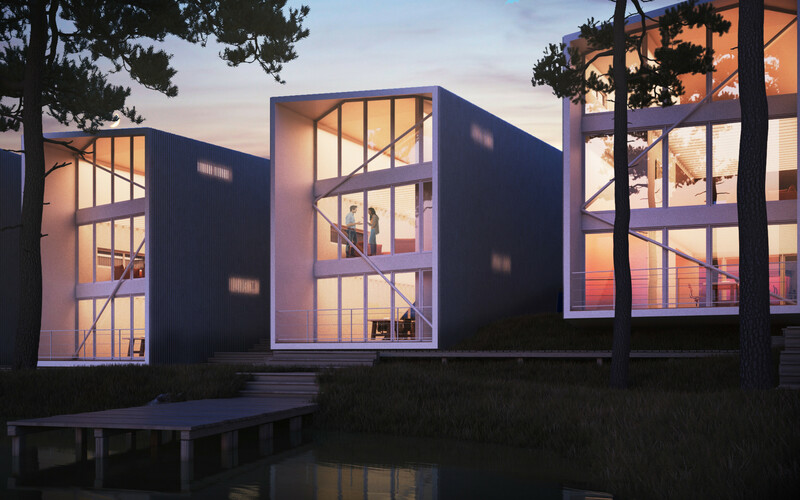 Homes: Urban Commons is a creating a new way to live in Dallas. 75 – 80 single family homes will be built by architect/builder teams in groups around landscaped common areas. 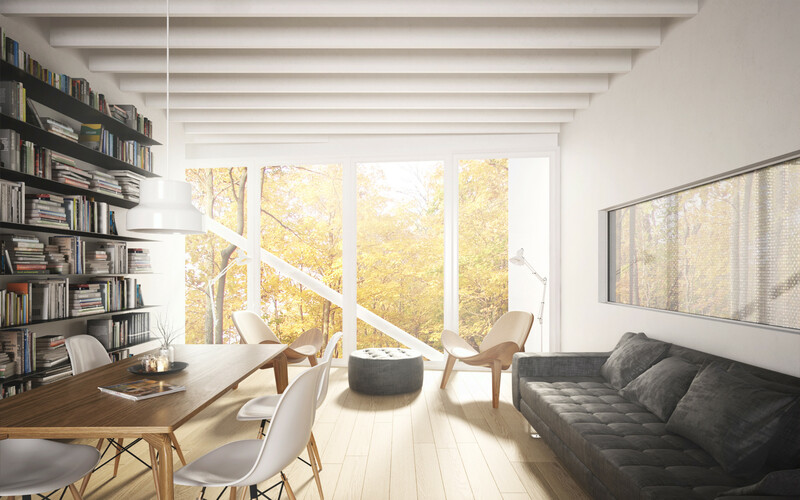 Homes will be smaller, from 1,000 square feet to 2,800 square feet with prices estimated from $300,000 – $800,000. Modern architecture and national green building standards be guiding tenets. A limited, carefully-selected palette of materials will ensure cohesive design, low maintenance and durability. Expansive front porches on each residence will reinforce a sense of community and provide a proven eyes-on-the-street approach to security. Master Plan: Urban Commons is crafted with harmony in mind—harmony between people and nature and between structure and wilderness. 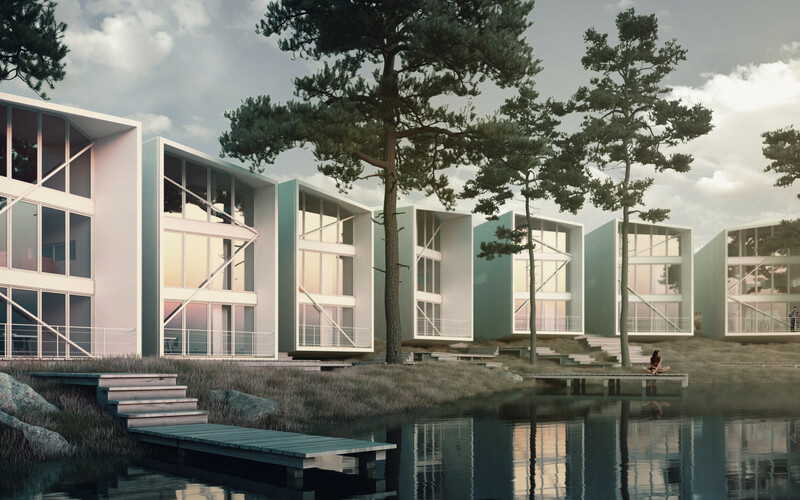 The 10-acre site will place a priority on the natural attributes of the property, through visual and spatial connects between the building clusters and the wooded environment. A creek and water branch traverses the property and outdoor amenities, including a pond and a walk path, engage the existing nature through the plan. In contrast to the re-wilded creek, residences front on cultivated landscapes and professionally maintained commons areas that are connected to garages and parking by accent paving. Streets will incorporate Woonerf [ʋoːnɛrf] details; an urban planning strategy that creates shared streets where pedestrians, cyclists and vehicles travel together without traditional safety infrastructure to guide them. Urban Commons believes this is the first time a Woonerf is employed in a Dallas residential neighborhood. Sustainable Landscape: Urban Commons is committed to an environmentally responsible, low-impact presence. Water will be harvested on-site to maintain the landscape. Designing the pond as an architectural amenity and watering source will minimize water consumption and provide the water needed to irrigate the commons. The goal is net zero potable water use for landscape irrigation. Low HOA fees will apply. Home owners may rent a 10-ft. x 22.5-foot garage with storage and rental fees will significantly fund HOA expenses. Solar panels located on the slanted garage roofs will bank electricity that powers street lighting, irrigation and well pumps. Urban Lifestyle: Urban Commons is designed with an urban lifestyle in mind. Minimal outdoor maintenance, an ability to “lock-and-leave”, and convenient proximity to LBJ, Forest, Abrams, Central, Tollway, Richland College, DART and Cottonwood Creek Trail System all provide a sense of connection not found in most master-planned communities.